Bambi is one of the masterpieces from the Walt Disney era. It’s a marvel of character animation, background design, and storytelling. While it’s not the most complicated film, it’s a callback to another time when storytelling was allowed to breath and go at a much more relaxed pace. With its new release as part of the Walt Disney Signature Collection, do the new bonus features live up to the Walt Disney name? First and foremost, we have to talk about the Blu-ray transfer. It is stunning. Unlike previous restoration disasters like Cinderella, Disney has stayed true and faithful to the original and perfectly preserved. The animators lines are crisp, but not overly cleaned up. Colors are spot on, going from neutral to pastel to vibrant when the filmmakers called for it. I don’t want to call this restoration perfect, but it’s pretty darn perfect and so beautiful to look at. Disney has done a great job with the layout of its menu screens recently. Gone are the days of loud music, whizzing graphics, and hard to find submenus. This menu is clean and allows you to find exactly what you need with a few clicks of the remote. The Bambi Effect – One of the biggest contributions that Bambi made to future films was its realistic animal character designs and its whimsical, water color backgrounds by Tyrus Wong. This short featurette talks about that, in addition to expanding the roles of women in animation at the studio and the new special effects department that was created for this film. It’s quite short and I would have loved them to expand on these themes more. Deleted Scenes: We get two deleted scenes with the first being an alternate version of the snow scene between Bambi and Thumper called “Bambi’s Ice and Snow”. The other is called “The Grasshopper” and introduces a new fast-talking character. Bambi Fawn Facts – Also known as, “How do we bring Disney Channel talent into our old stuff?” This throw-away featurette showcases a narrator who shares random animal facts about various animals found in the film such as deer, rabbits, and skunks. Oswald the Lucky Rabbit: “Africa Before Dark” – Since this is the Walt Disney Signature Collection, it’s become precedent to try to tie in as many things from that period into the release, including shorts from the time. Since Oswald the Lucky Rabbit is back in the Disney family, we get a fun short featuring this little bunny. Does it relate to Bambi? No, not really, but just go with the filler. Celebrating Tyrus Wong (Digital Exclusive) – Bambi owes its distinct look to Tyrus Wong, the exceptionally talented painter who contributed moody and beautiful backgrounds to the film. This featurette takes a look at his life and art, as well as discusses the exhibit dedicated to him at the Walt Disney Family Museum. This featurette is probably the best of the bunch, so it’s a shame that it’s not encapsulated on the physical disc. Classic Bonus Features: As always, all of the previous bonus features found on previous releases are archived here as well. You get some great content such as more deleted scenes, a deleted song, an hour-long making-of piece, “The Old Mill”, and more. 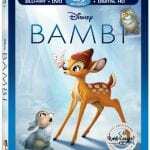 Bambi is a Disney classic and masterpiece worthy of the Walt Disney Signature Collection title. While the majority of the bonus features feel a bit forced and uninspired, there are a few gems in the bunch. 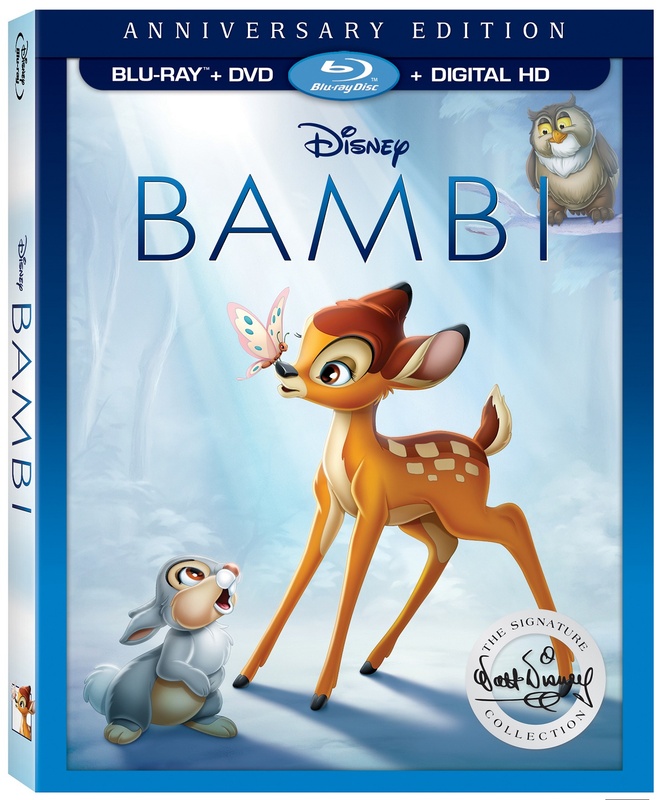 All in all, If you already own a previous Blu-ray release, there might not be enough on here to incentivize you to upgrade but, if not, Bambi is a must-own film for any Disney enthusiast.